Zeus Integrated Systems, another Chinese company developing what they call ZeusMiner has announced that they have received the first sample batch of their Scrypt ASIC chips and have started building the first prototypes of the so called ZeusMiner mining rigs. 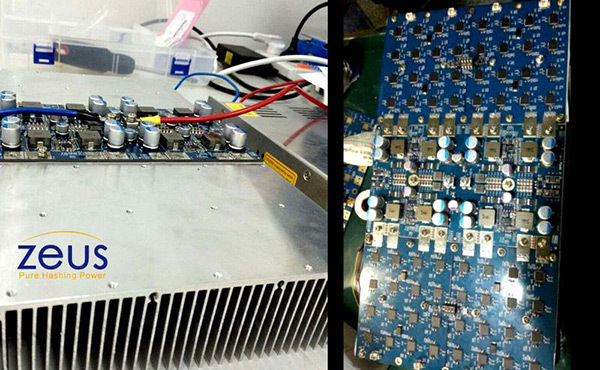 The Scrypt ASIC chips that Zeus is making are apparently based on 55nm manufacturing process and should be able to deliver 1 MHS of Scrypt mining hashrate with something like 10-12W of power consumption according to the specifications. What is more interesting is that Zeus promises to start delivering by the end of this month (May), though the prices of the miners are not that attractive with the current crypto currency market prices. The ZeusMiners Scrypt ASICs will apparently be available in four flavors: 1.2 MHS Blizzard available for $199 USD, 18 MHS Cyclone for $2999 USD, 36 MHS Thunder for $5500 USD and 72 MHS Lightning for $9999 USD. The smallest ZeusMiner Blizzard could be an interesting solution and could easily replace the smaller 5-chip Gridseed ASIC miners due t the higher performance and similar price, especially if it turns out to be easily overclockable. The ZeusMiner Blizzard apparently consists of 4 chips with 300 KHS hashrate per chip and about 3W of power usage, so we see something similar to the Gridseed Infinity USB miner design. And we are going to be picking up one of these small units for sure if/when they become available in order to be able to review it. With that said we are still waiting to see the first devices actually available on the market and be able to test them, before talking more about if they will be worth purchasing. What we can say is that at the moment ZeusMiners seem to finally start looking like an actual product and a one that will be available on the market soon, though we do not claim this for sure or endorse the company before we see the actual product. 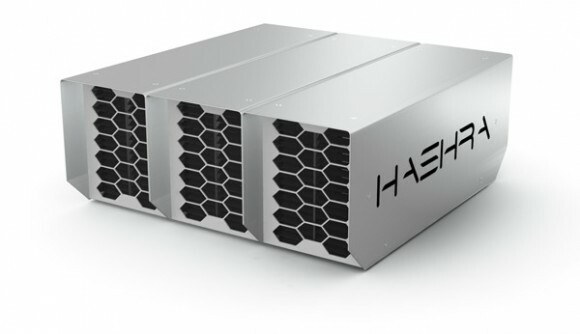 We see that some of the Gridseed distributors we have posted about hereon the blog are already listing the ZeusMiner products on their websites such as Hash-Master for example and others have already announced what seems like their own branded miners that are most likely based on the ZeusMiner Scrypt chips judging form the listed specifications. You can check the GAWMiners Scrypt Miners as well as the Hashra Lunar Landers for more information. These two companies are planning for early June availability, so shortly after the date that Zeus plans to start delivering.